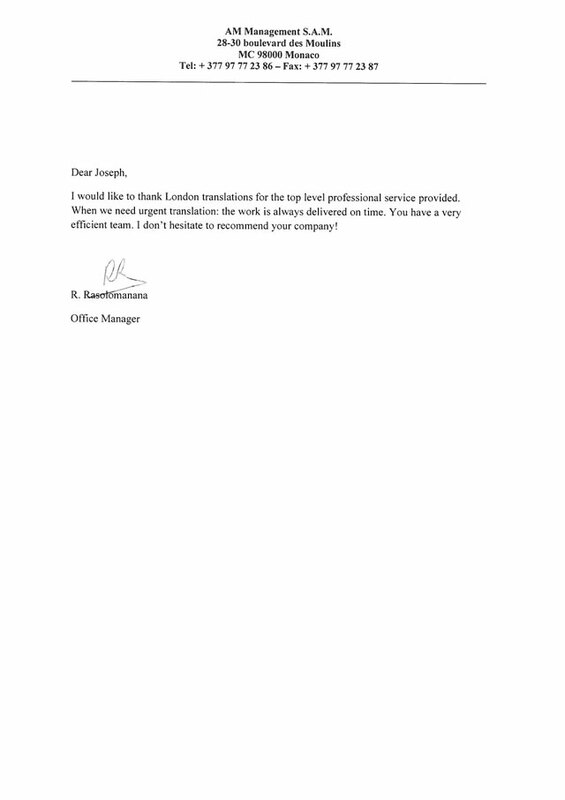 I would like to thank London Translations for the top level professional service you provided. When we need urgent translation: the work is always delivered on time. You have a very efficient team. I don’t hesitate to recommend your company.